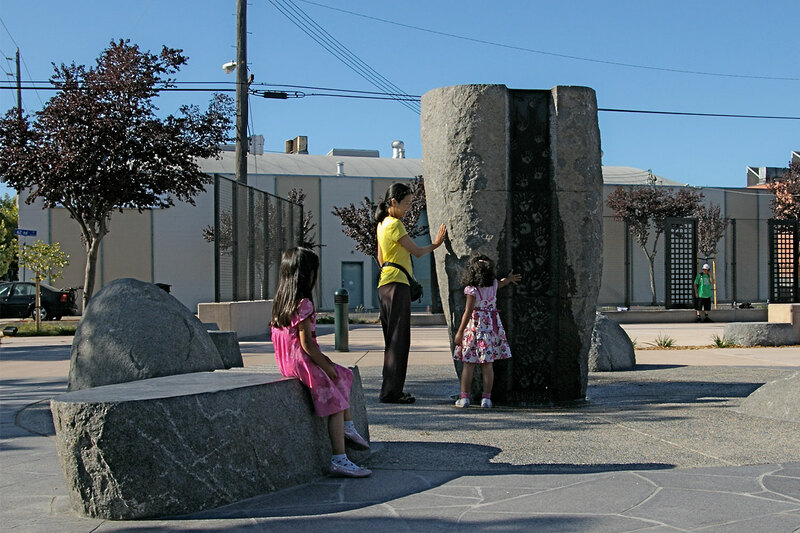 The overall concept for this design is based on the passage of time and how human life continues from generation to generation. 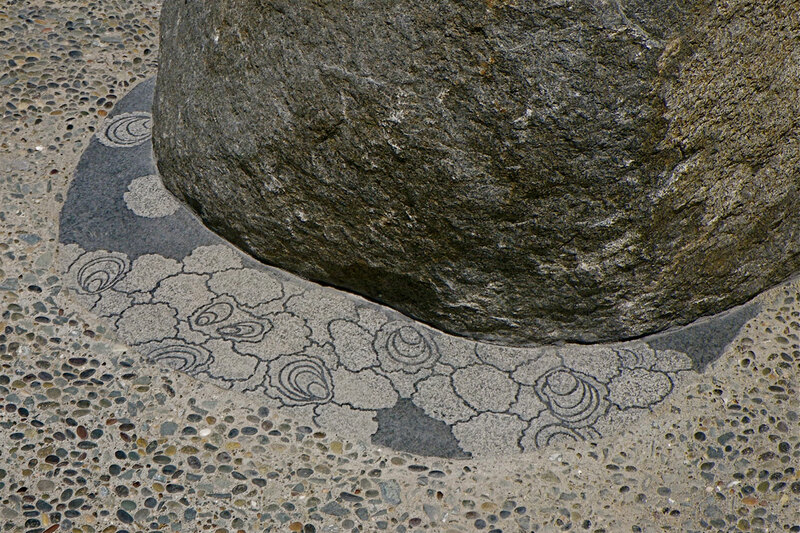 The artwork is a composition of several granite boulders including a central water feature set upon a paving design. 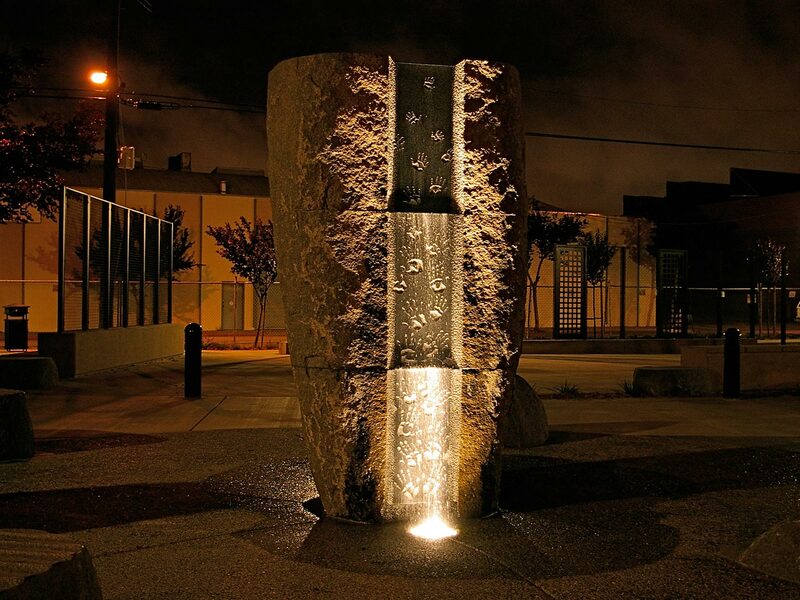 The water feature is made out of one large granite boulder that was cut in three sections. 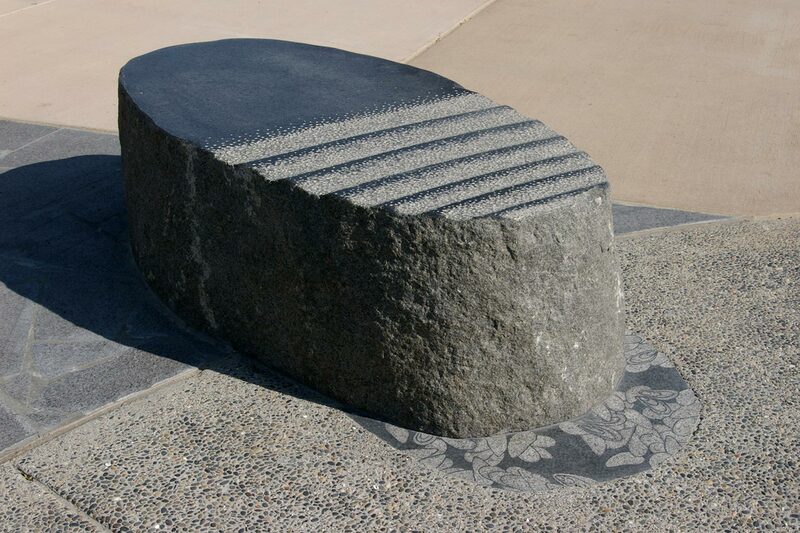 Each section or “strata” are a metaphor for the concept of time: past, present and future. 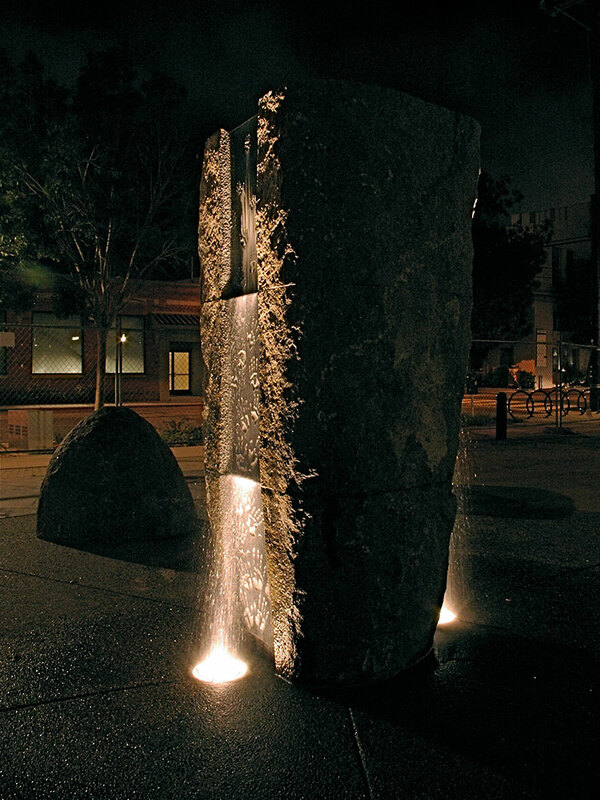 The channels were carved with reliefs from abstracted handprints, creating a visual cascade with or without water. 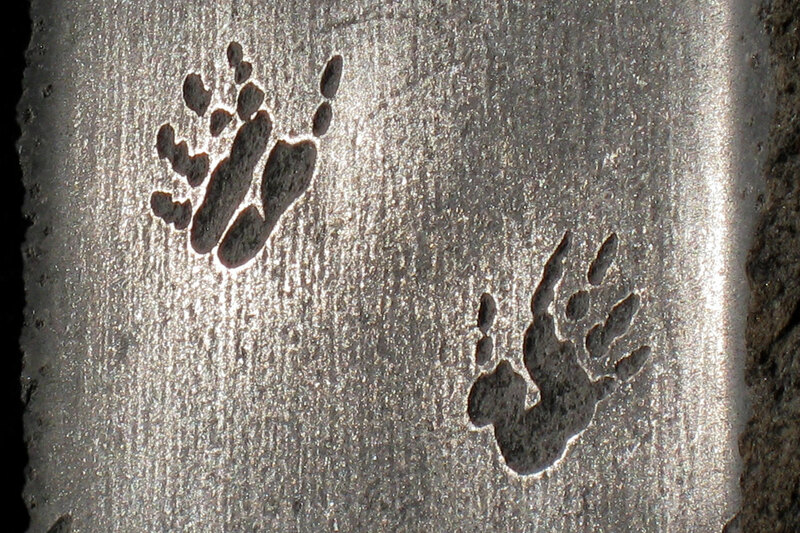 The patterns of the handprints are made from adults’ to children’s sizes starting from the lowest section moving to the highest. On the highest section the handprints are of children, representing the future. 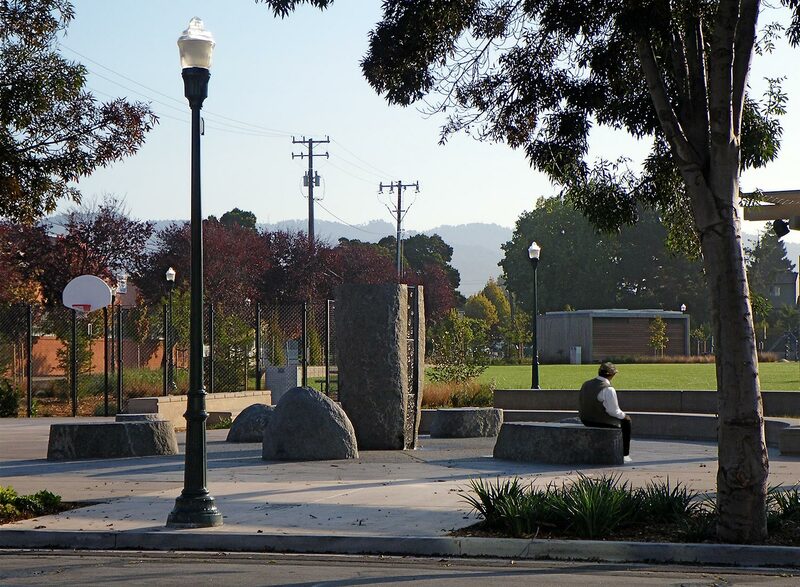 As one sits on the sculptural benches, one can discover wave and shell patterns, reminding the visitor of the natural land and indigenous people who lived here for generations. Copyright © 2018 Masayuki Nagase. All Rights Reserved.